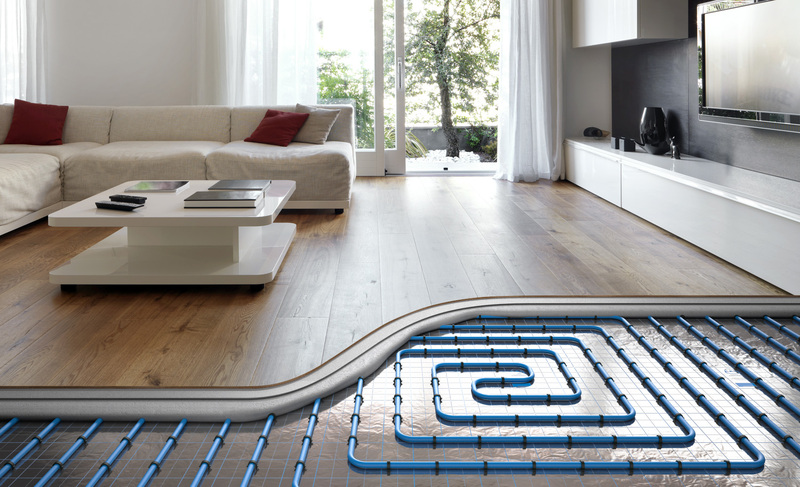 Nowadays underfloor heating is one of the heating systems for houses most frequently chosen by investors. Thermal comfort, high energy efficiency thanks to the possibility of using low-parameter, ecological heat sources such as heat pumps, condensing boilers, solar installations, etc., high hygiene and aesthetics are among the main advantages of such a solution. 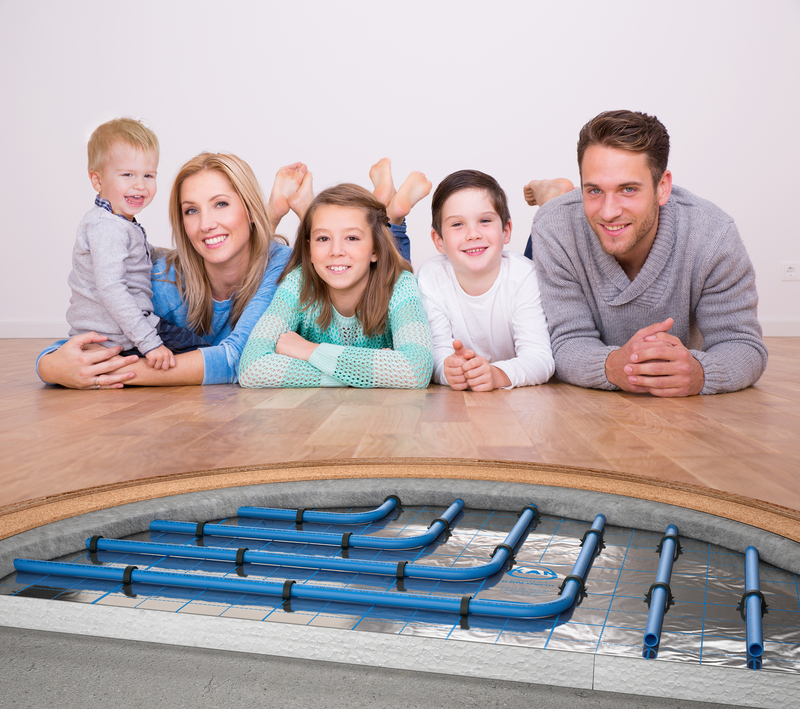 In spite of quite widespread opinion that underfloor heating installation is a simple and easy to install heating system, it is necessary to remember about several basic rules and practices concerning its selection and construction. Failure to comply with these practices and rules may cause clients’ discomfort and their discontent with the whole system. Lack of thermal power and underheating of rooms, too high or uneven temperature of the floor or excessively cracked surfaces causing damage to the ceramic tiles are very common cases, which give not only the investors but also the contractors of these installations sleepless nights. What can be the most common mistakes when selecting and installing underfloor heating? A very significant mistake during installation of the underfloor heating system is the lack of damp insulation under the entire surface of the heating panel. If there is no additional damp insulation in the concrete layer on the ground, the installer of the underfloor heating system should add/make it on the entire heating surface. This means that it must be laid underneath the thermal insulation. Lack of this insulation may result in the heating panel drawing moisture from the ground and deforming the concrete layer on the ground and ultimately destroying the heating panel itself (no support for the heating panel). Also one of the main guidelines for starting the installation of underfloor heating system is to prepare the surface of the base properly. The concrete board or ceiling on which the underfloor heating insulation panels will be laid should be even. This will allow the thermal insulation to adhere precisely to the base and thus provide a solid support for the final heating panel. Any unevenness of the ceiling or floor on the ground will constitute a lack of support for the heating panel and thus may lead to its subsequent excessive cracking. The next step, right after the preparation of the load-bearing base, is to distribute the wall tape and thermal insulation over the entire surface intended for underfloor heating. The purpose of the wall tape is to separate the target heating panel from any vertical building partitions, both external and internal ones. This will allow the heating panel to operate freely and safely in the future by compensating for thermal expansion. The wall tape should be folded out in the "L" shape, which means that a larger part of its height should be laid on the vertical partition and the remaining part on the horizontal partition. The vertical height of the expansion joint must be greater than the thickness of the screed and the final lining. The heating panel with the lining should not come into contact with structural elements of the building in any place. A small piece of the wall tape on the horizontal partition is covered with thermal insulation. In order to facilitate this type of installation, the expansion joint often has special cuts. An additional equipment of the wall tape is a so-called apron made of PE foil. This apron should be loosely lined on the thermal insulation. Such a system of structural layers protects against penetration of concrete under thermal insulation or between thermal insulation and expansion joints. The wall tape must be strictly laid on the entire perimeter of the heating panel and must not be stretched at corners as it may cause cracks during screed floor pouring. The lack of wall expansion joint is a potential risk of the heating panel cracking at the point of contact with the vertical partition. A further consequence will be damage to the lining, e.g. ceramic tiles. Despite the generally known rules of dividing large and complex heating fields into smaller and simple, this is one of the most common construction mistakes when laying underfloor heating systems. Wall tapes spread out along the perimeter of the heating panels are not able to take over the thermal elongation for an excessively large surface of the heating panel. It results in cracks in the panel and finish lining. Expansion joints of panels in doors, between two separate rooms are also often forgotten. The result is the creation of a large, non-dilated heating panel. Another problematic issue is the appropriate expansion joint height. The correctly made expansion joint starts with the thermal insulation of the heating panel and reaches above the thickness of the screed including the lining. In short, the expansion joint must fully separate the two adjacent panels together with the floor lining. Another quite serious and common construction mistake is the lack of protection of transit pipes passing through the heating panel expansion joints. Separated heating panels will be subjected to the phenomenon of thermal expansion which will occur individually for each heating panel. The passage of the pipes between these panels, made rigidly, can lead to the "cutting" of the transit pipes due to the individual thermal movements of two different panels. This phenomenon can be eliminated in a very simple and fast way by using special expansion joints for transit pipes. This consists in guiding the pipes, at the place where the joints of the panels are present, in special protective covers of about 50 cm in length. Thanks to this, the pipe will always be able to move freely and can easily be subjected to different thermal work of the heating panels. Next month in KAN newsletter we will discuss further design and construction requirements whose lack or unreliable completion may result in incorrect operation of the underfloor heating system and thus thermal discomfort during the operation of the building.